Engineered to handle the toughest protective coatings, the Graco XM Plural-Component Sprayer provides precise ratio control, allows users to download historical spraying data, and handles a wide range of two-component materials. 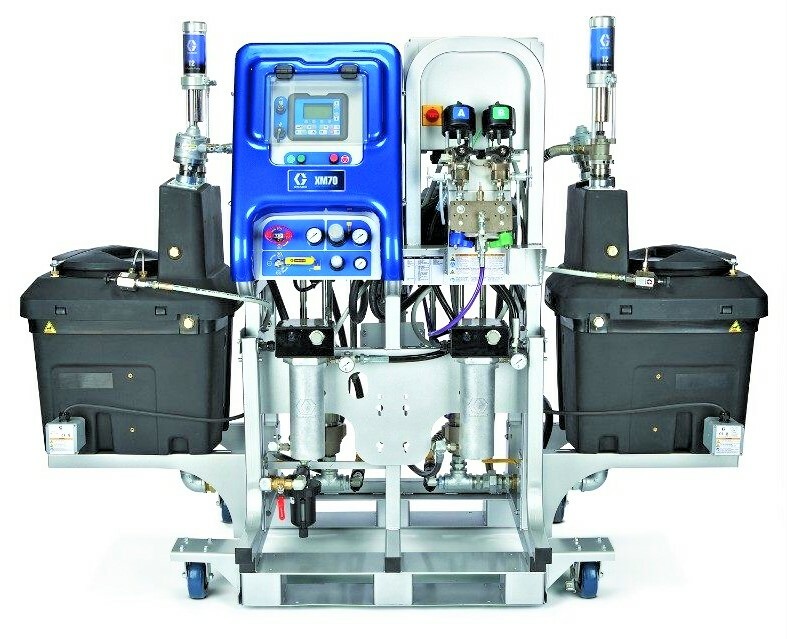 At the heart of the ratio control is Graco's advanced dosing technology. 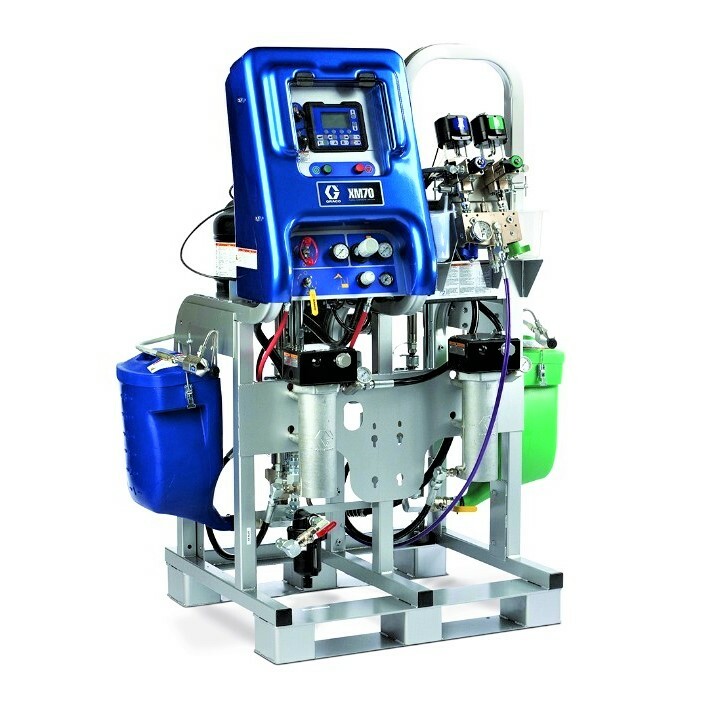 The major component is constantly flowing while the minor component is injected at higher pressures. Advanced sensing technology allows pumps to compensate for pressure fluctuations, resulting in accurate, on-ratio mixing for better yield and less waste. Ideally suited for marine, bridge, rail and wind energy applications, the Graco XM is fully configurable for your specific coatings job. Start with a base unit, then select the accessories you need - you get exactly what you need. No more, no less.